When you start researching alternative health protocols, you quickly run across information on heavy metal toxicity. In this podcast, we delve into this topic in detail. What are heavy metals anyway, and how can they impact autoimmune disease? Is treatment always a good idea, or can it sometimes harm instead of help? I have a wonderful guest to answer these questions and more. Dr. Christopher Shade has a PhD in Environmental Metals Chemistry, and he has trained doctors worldwide on the subject of heavy metals and the human detoxification system. He's also the founder and CEO of Quicksilver Scientific, a company that specializes in heavy metal testing and treatment. It's summertime and I'm craving burgers! 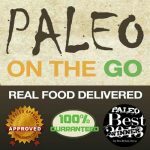 Paleo on the Go has 6 varieties on their menu: Summer Lamb Burger with Mediterranean Veggies, Zesty Salmon Burgers with Avocado Sauce and Sautéed Kale, Asian Chicken Burgers with Fried “Rice”, Bacon Apple Chicken Burgers with Maple Cranberry Sauce, Elk Burger with Wild Mushrooms, and Juicy Lucy with Caramelized Onion Maple Bacon Jam. You can find all of these items and more on their AIP menu. The Simple Guide to the Paleo Autoimmune Protocol is now available in Spanish. 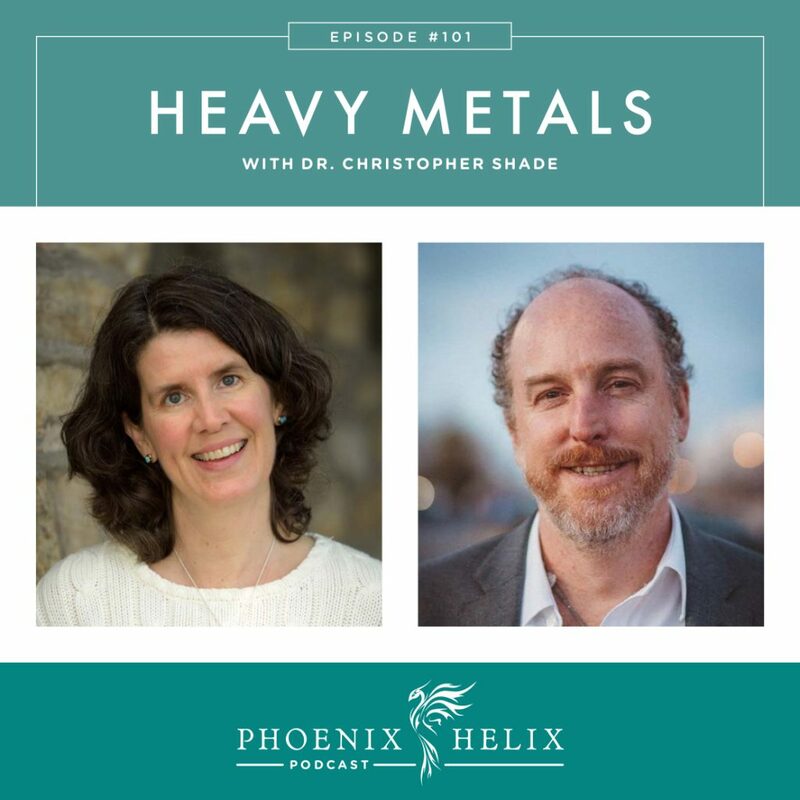 Dr. Christopher Shade has a PhD in Environmental Metals Chemistry, and he has trained doctors worldwide on the subject of heavy metals and the human detoxification system. He's also the founder and CEO of Quicksilver Scientific, a company that specializes in heavy metal testing and treatment. He has personal experience with heavy metal toxicity, which merged with his professional interest. He was born in Bethlehem, PA, which has one of the biggest steel mills in North America. He also got 17 mercury fillings when he was a child and was exposed to mercury at work as an adult. When pursuing his PhD in environmental chemistry, he ended up working with a professor who was studying mercury. That's when he became aware of how much mercury his own body contained. He tried the traditional pharmaceutical chelation method (DMSA) which ended up worsening his health instead of improving it. 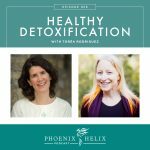 So, he started researching how the body is naturally designed to detoxify, and how we can safely support those pathways without overwhelming them. This eventually led to the founding of his company: Quicksilver Scientific. Heavy metals are a group of metals defined by density. They're not all harmful. Some are even beneficial. The amount matters as well, where some can be beneficial at a certain level and harmful at a higher level (such as nickel, antimony, manganese, and copper). The most potentially toxic ones are mercury, arsenic, cadmium, and lead. 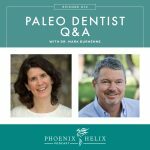 They can disrupt the body's natural processes in many ways: mitochondrial function, stress hormone production, brain function, adrenal function, thyroid T4/T3 conversion, immune system regulation, virus susceptibility, reduced glutathione stores, increased inflammation, and reduced detoxification. Glutathione is produced in every cell in your body and is essential to detoxification overall, and the detoxification of heavy metals specifically. It acts like a chaperone to transport toxins out of the body. It can also be used as an antioxidant or an anti-microbial, depending on what's needed, and is essential for immune system regulation as well. When your glutathione stores are depleted, it can sometimes be beneficial to take it as a supplement. Toxicity happens when the level of of the toxin goes beyond the robustness of our body's defense against it. Detoxifying heavy metals isn't just about removing them from the body. It's about supporting our body's defense in such a way that toxicity is less likely to happen. It's impossible to live a life where you are never exposed to heavy metals, and it's impossible (and unnecessary) to get them 100% out of the body. Perfection isn't the goal. Instead, the goal is to eliminate major exposures, and support our body's ability to detoxify smaller exposures so they don't negatively impact our health. We can develop resilience and resistance to heavy metal toxicity. Mercury sources: fish, mercury amalgam fillings, skin lightening creams, some vaccines, and some medications made outside of the US. When it comes to fish, there can be a thousand-fold difference in the amount of mercury in a sardine vs. a swordfish. The bigger the fish, the greater the concentration of mercury. While some scientists believe that the selenium in fish protects against the mercury exposure, Dr. Shade disagrees. While selenium is an important antioxidant that supports detoxification, and having a selenium deficiency makes you more susceptible to mercury toxicity, selenium doesn't completely protect against it. You still absorb mercury that's bound to selenium, and therefore need to pay attention to the mercury content in fish. Resource: Mercury in seafood wallet card. Cadmium sources: smoking, car exhaust, leafy greens grown near highways. Lead sources: drinking water, old buildings with lead paint. Remember, we cannot eliminate all exposure, so perfection isn't the goal. Make conscious choices to lower your exposure, and support your body's natural detox pathways to clear the exposures you can't control. Diversifying your diet is one of the best ways to protect against overexposure to any one toxin. Looking for a protein bar as a healthy on-the-go snack? Shop AIP sells my favorites: Epic Bar, Wild Zora, Paleo Angel, New Primal, and Mountain Sticks (which is an organ meat snack stick). An online store, where everything sold is compliant with the elimination-phase of the Paleo Autoimmune Protocol. 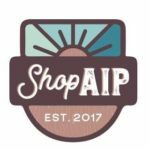 Shop AIP sells a wide variety of products, including protein bars, AIP-friendly spice blends, cooking and baking ingredients, snacks, non-toxic skincare, and more. Heavy metals are tested in many different ways. Stool, urine and hair testing reflects the blood pool of heavy metals. Blood testing reflects the tissue pool of heavy metals. Looking at ratios between different types of tests can provide information on the body's ability to defend against and eliminate heavy metals. Non-Provoked (Ambient) Tests: These measure the true level of heavy metals in the body, unboosted by a chelator. Non-provoked tests have been available in research settings for quite a while, and Dr. Shade became familiar with these while getting his PhD. He has since developed tests that are now commercially available outside of research settings. His Mercury Tri-Test separately analyzes two different types of mercury: methylmercury (from fish) and inorganic mercury (from dental amalgams, and from the breakdown of methylmercury). These 2 forms of mercury distribute differently in the body, and are excreted differently. Urine contains inorganic but not methylmercury. Hair contains methylmercury but not inorganic. Blood contains both, but higher amounts of methylmercury. The tri-test analyzes hair, blood, and urine. In addition to giving accurate measures, this test also provides information on how the body's natural detoxification systems are working. He also has a blood test that measures a wide range of heavy metals, testing for both toxic exposures and imbalances that can have a side effect of toxicity. Since Dr. Shade doesn't recommend provoked testing (see above), the following figures relate to his non-provoked Quicksilver tests. Everyone will have some heavy metals in their body, and intervention isn't always necessary. Inorganic mercury is more toxic at a cellular level than methyl mercury. For methylmercury, if someone tests within the 75-90 percentile, Dr. Shade recommends they consider detoxification. For anyone testing at 95 and above, it's imperative. For inorganic mercury, he recommends detoxification for anyone within the 50-75 percentile. For anyone testing at 90 and above, it's imperative. In addition to heavy metal levels, it's important to look at the functional pathways as well. Supporting those helps detoxify not only mercury, but all heavy metals and other toxins as well. Resources: Mercury Tri-Test Interpretation and Blood Metals Test 101. Nutrient-density supports the body's detox pathways, especially eating a wide variety of vegetables as recommended in The Wahls Protocol and the Paleo Autoimmune Protocol. Sulfur-rich veggies in particular are detox powerhouses (cauliflower, cabbage, kale, collards, broccoli, asparagus, mushrooms, garlic, and onion). They contain a number of compounds that are Nrf2 upregulators, which turn up detoxification. Microcosm: cells pushing away toxins, into the blood & lymph supply. Macrocosm: the liver, kidneys, and GI tract filtering the toxins out of the blood & lymph, to be eliminated from the body. Sometimes when you start a detox protocol (whether through diet or supplements), your blood levels will show an increase in heavy metals before it decreases again. This is a sign that your body is liberating toxins (microcosm) faster than they are being filtered out of the body (macrocosm). Some supplements that support filtration include charcoal, clay, chlorella, and diuretics. Caution: It's good to work with a functional medicine practitioner when trying these supplements, because they can filter out beneficial nutrients and medications as well. So, they need to be used cautiously with this in mind, and are only meant to be used short-term. 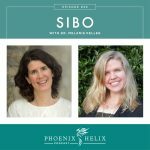 Resource: Episode 96: Liver Health. Dr. Shade's protocol focuses on determining what is a hindrance to the body's natural ability to detoxify, and what is a support. The end goal is rebuilding the body's resilience to toxins and its natural ability to defend itself. Chelation's goal is to go into the cells, pull out the heavy metals, and bind them to the chelators for safe removal from the body. However, it doesn't take into account impaired filtration, which is why some people's health worsens on a chelation protocol. Chelation was originally created for short-term acute exposures, but most toxicity today has developed through chronic exposure over the years from multiple sources, and a reduced ability of the body to keep up with demand. Both stress and leaky gut interfere with detoxification and filtration. And when leaky gut is present, a leaky blood-brain barrier can also be present. That means that when toxins are released into the bloodstream and not filtered out, they can affect brain function. Dr. Shade tries to strike a balance between pushing detoxification enough to get results, without backfiring into side effects and negative symptoms. One key element in his protocol is supporting bile flow, which is often missed in other detox protocols. His PushCatch Liver Detox is designed to “push” bile flow and then “catch” toxins in the GI tract for safe removal from the body. You can connect with Dr. 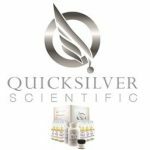 Shade through his website Quicksilver Scientific, where he sells heavy metal testing kits as well as supplements to support detoxification. Use the code EL05 for 5% off your order. There are educational materials on his website as well. He also has a YouTube channel.